Energy bars are all the rage these days. Delivering quick energy and nutrition when you're on the go, it's no wonder why they are so popular. The only problem is a single bar can cost anywhere from $1 to $5, making it a pricey snack. Luckily, energy bars are easy to make at home for a fraction of the price, and are infinitely customizable. For this grain-free bar, nuts and nut butter deliver a high dose of protein, giving you a burst of energy and helping to curb hunger. 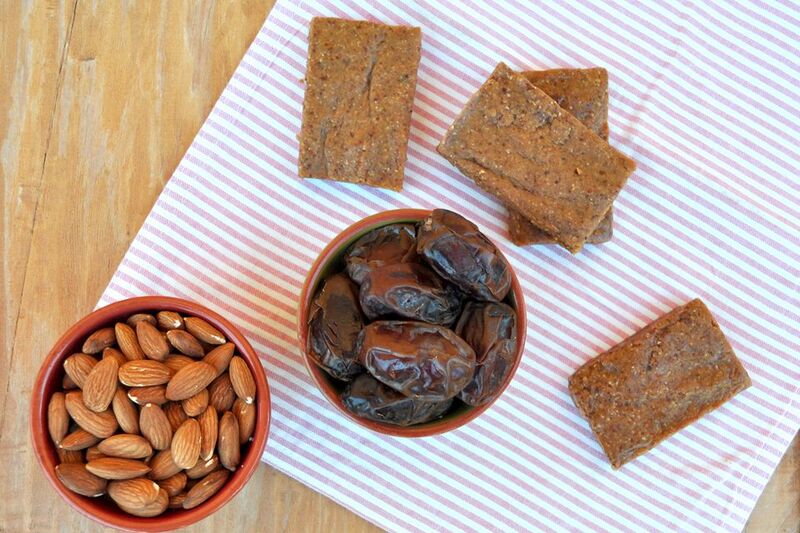 Dates add natural sweetness and give the bar a nice chewy texture. The taste and texture are similar to a peanut butter cookie, so your healthy snack will feel like a treat! An added bonus is that this recipe freezes great! Especially if you individually wrap the bars and stash them in a big zip-top bag. Just stick one or two in the fridge the night before and they'll be defrosted for the next day. If you're doubling the recipe, use a bigger pan or two 8- or 9-inch pans. See the variations note below the recipe for ideas on how to customize your energy bars. In the bowl of a food processor, pulse the dates, almonds and walnuts, until the largest chunks of nuts are the size of peppercorns or smaller. Scrape down the sides and add the almond butter and vanilla. Process until well combined and the mixture sticks together when pressed. Stop and scrape down the sides once or twice as needed. Line an 8-inch or 9-inch square baking pan with parchment paper. Dump out the mixture onto the paper and press into the pan until level. Refrigerate for an hour and then cut into bars with a sharp knife. Individually wrap each bar and store in an airtight container in the refrigerator for up to 2 weeks, or in the freezer for up to 2 months. Use a different nut butter, such as peanut or cashew. Swap out one of the nuts with cashews or peanuts.